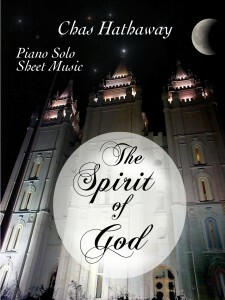 For as long as I can remember, The Spirit of God has been my favorite of all the hymns. (That’s saying something, because I love a lot of hymns.) It always makes me want to go to the temple, and seek the Spirit more fully in my life. I decided to go a little non-traditional with this arrangement. Instead of the jolly, upbeat style the song usually has, I gave it more of a thoughtful, haunting sound.